There are 98 days to go until the midterm elections on Tuesday, Nov. 6th. Historically, midterm elections act as a referendum on the president. How popular he is often determines how much of a drag or a boost he’s going to mean for his party. 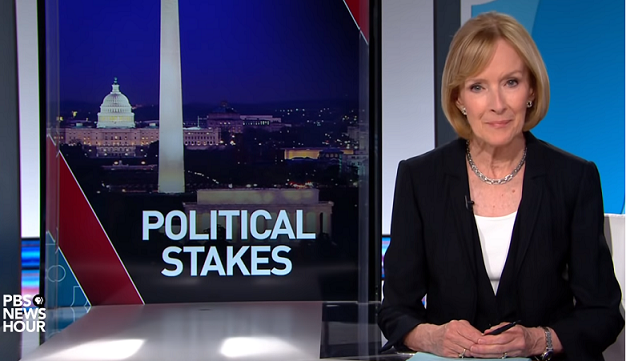 Amy Walter of the Cook Political Report and Susan Page of USA Today discuss the potential political fallout for Republicans in the midterm elections and whether or not the Democrats have a chance of taking the House or the Senate. NOTE: Start video at 2m:44s and play until end. Essential question: Why are the 2018 midterm elections attracting so much attention? What issues may inspire voters to turn out to vote in November? What’s your ideal workplace setup? Directions: Read the summary below first, watch the video and answer the questions below. The basic logic behind the open office workspace involves removing physical barriers like cubicles and walls to inspire employees to communicate more as a group and spur creativity. But there is little evidence to support these claims — and some surveys show the opposite: declines in employee satisfaction and productivity. Two researchers from Harvard University have tackled this problem head on by directly measuring more than 100,000 face-to-face conversations at two Fortune 500 companies — before and after their global headquarters switched to open office layouts. The team found open office layouts cut employees’ face-to-face conversations at these companies by as much as 70 percent. Essential question: How might the physical layout of a workspace affect productivity? (i.e. at the office or school)? What would your ideal classroom setup look like? Since classrooms are the ultimate open workspaces in many ways, were you able to relate to any of the issues in the video? Why or why not? Media literacy question: This story centered around the layout for an office, but where would you look to find out what types of classroom layouts work best for students? Extension activity: Where do you learn best? Create a design by hand or computer of your ideal classroom layout. Then share it using Twitter, Instagram or Facebook @NewsHourExtra and tag #SchoolIsMyOffice. If you can include research as to why this idea may make students more productive, you may win a prize!